In 1684, the Bubonic plague was sweeping the Bavarian region where Oberammergau, Germany is located. The easily spread disease had killed some 75 million in Europe when one of the local Oberammergau residents contracted the disease and died. As the plague quickly spread through the town, the writing was on the wall—they could expect half or more of the residents to die. But the town cried out to the Lord and a somewhat bizarre vow was publicly announced: If God would spare the town, they would perform a play about the last week of Jesus, every 10 years. 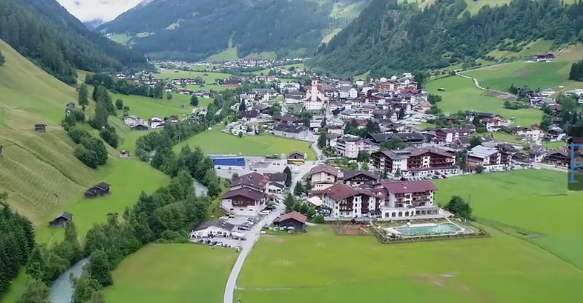 Some 500,000 people from almost every country in the world will be flocking to Oberammergau in the summer of 2020 to see the 42nd performance of the 5-hour Passion Play. The play has taken place continuously for over 380 years (1940/WW2 excepted). Only local residents are allowed to participate—an astonishing 2000 actors, singers, technicians and instrumentalists! 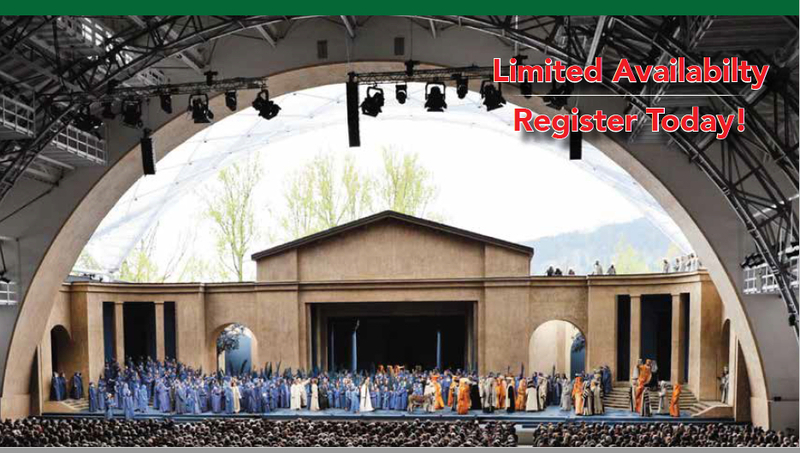 The Passion Play has become a world-wide phenomenon and we’ve put together an incredible 8-day trip to see the play, visit two incredible castles (one that inspired Walt Disney’s famous castle in Disneyland), a palace, the alps and Salzburg, Austria, of Sound of Music fame. We’ve reserved Category 2 tickets for the play, the most desired and optimal seating. (The stage is so large and wide, if you’re too close you miss seeing all of the production!). 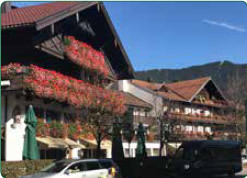 We’ll spend two magical nights nights in a boutique hotel in quaint little Oberammergau city (these were hard to get—most people have to stay in Munich 1 1/2 hours away!). The play begins in the afternoon, breaks for its famous 2 1/2 hour dinner and concludes in the evening. 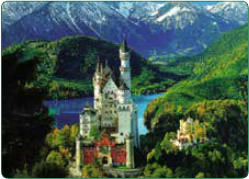 Amazingly, all participating play actors must have lived in Oberammergau for a minimum of 20 years. And even though we’re traveling there in August, the cool summer breezes of the Bavarian Alps makes bringing a sweater a necessity! We’ll spend one full day taking a short but scenic and memorable train ride through the Bavarian Alps to visit Salzburg, Austria. 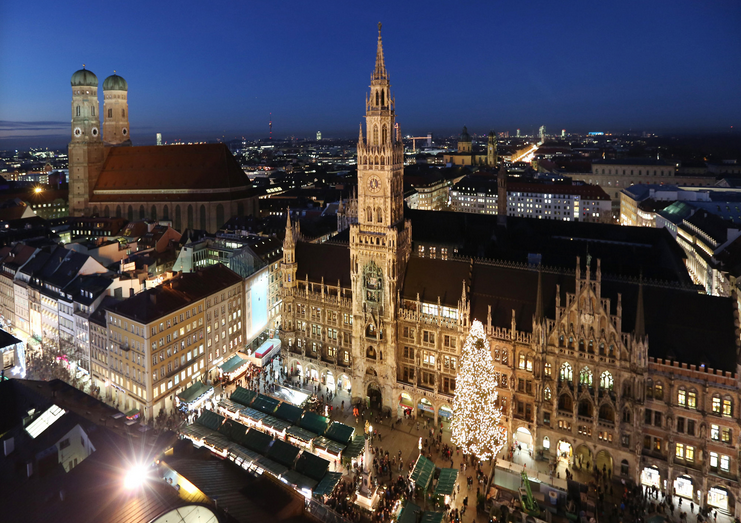 We’ll see famous sites that appeared in the Sound of Music and stroll through the historic Old Town, home to some of the best preserved medieval buildings in Europe. Two Castles & a Palace! 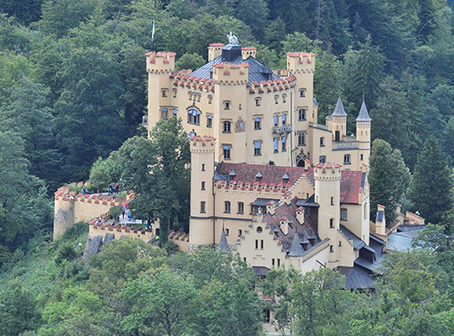 We’ll visit two incredible castles: Neuschwanstein, a picture-book clutch of turrets and chambers that inspired Walt Disney’s famous Disney castle and stunning Hohenschwangau Castle, built by Maximilian of Prussia. We’ll also visit regal 18th century Nymphenburg Palace and its adjoining eye-opening museum. 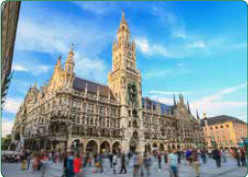 We’ll spend a full-day tour seeing the Dachau Concentration Camp, Marienplatz, Olympic Village, breath-taking Nymphenburg Palace and a walking tour through the city’s most significant Third Reich sites of the Hitler era. We’ll be basing our activities in Munich at the 175-year-old and stunningly gorgeous Bayerischer Hotel, a 5 Star hotel located in the middle of the best shopping area in town. Wow! 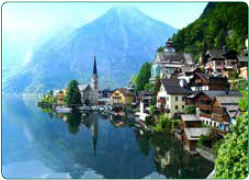 Optional Viking River Cruise! Hohenschwangau Castle, built by Maximilian of Prussia, is one of two German castles you’ll visit on this amazing trip!